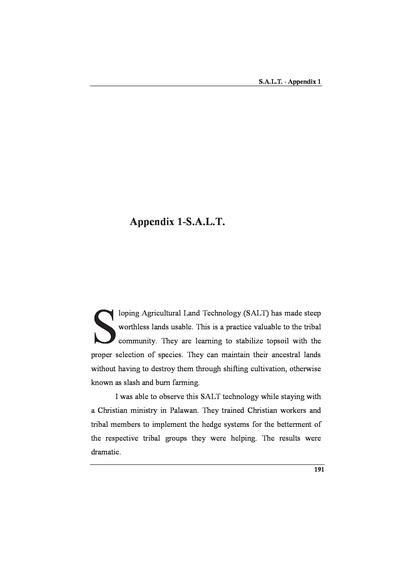 Sloping Agricultural Land Technology (SALT) has made steep worthless lands usable. This is a practice valuable to the tribal community. They are learning to stabilize topsoil with the proper selection of species. They can maintain their ancestral lands without having to destroy them through shifting cultivation, otherwise known as slash and burn farming.